The family of one of Ireland’s last D-Day heroes, who died at the weekend at the age of 89, has said they will always treasure the moment just weeks ago when he was decorated for bravery. Former Commando Pat Gillen died at home in Cork on Saturday, surrounded by his family. “It was the way he wanted it. It was sad that it came so soon after he was honoured. But we will always treasure that ceremony in Cork. It was magic,” said son Robin. 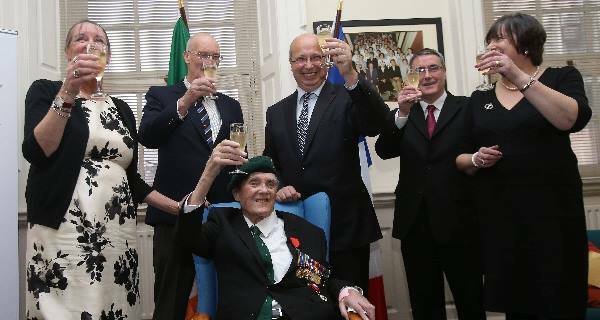 Mr Gillen, who was among the first wave of troops to land on Sword Beach in Normandy, on June 6, 1944, was presented with the Chevalier de la Légion d’Honneur by Jean-Pierre Thébault, the French ambassador to Ireland, for his outstanding bravery and military service at a ceremony in Mercy University Hospital on December 8. 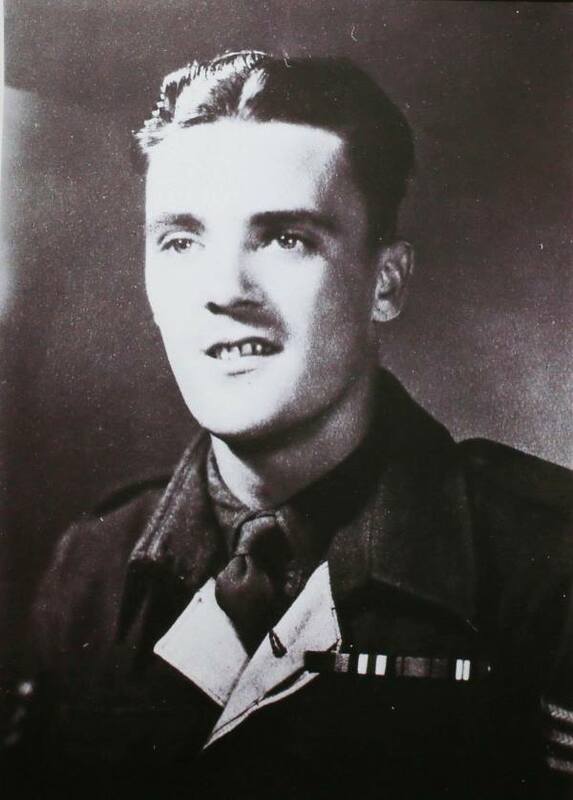 Ill health forced Mr Gillen to abandon plans to travel to Normandy last summer to mark the 70th anniversary of the landings and it was doubtful days before the Légion d’Honneur ceremony that he would be well enough to attend. But he rallied and even managed to quaff champagne and crack jokes with former comrades. Mr Thébault said the French government wanted to honour him as an Irish hero who committed his life, youth, and courage for a noble cause — democracy and freedom. Mr Gillen, who wore his green beret and service medals, said he was thrilled, but felt unworthy, to receive the honour. He dedicated the award to the countless other brave Irish men who fought or died in the war. “This award is as much theirs as mine,” he said. Mr Gillen joined the army aged 18 and was posted to 6 Commando unit which landed on Sword Beach at about 8.30am on D-Day to protect the left flank and reinforce the 6th Airborne. Under heavy sniper and mortar fire, his unit secured bridges and advanced to a farm in Amfreville, where they held a defensive position for more than 40 days. More than half of Mr Gillen’s unit were killed or injured. He spent 82 days fighting on French soil. A father of four and grandfather of 12, Mr Gillen also worked for Ford in Cork. His remains will be removed from O’Sullivan’s Funeral Home in Turner’s Cross to the Lough Church at 6.30pm tonight, with cremation at the Island Crematorium, Ringaskiddy after 2pm Mass tomorrow.